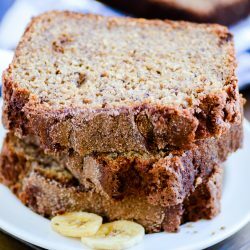 This Whole-Grain Banana Bread is the King Arthur Flour-declared 2018 Recipe of the Year! And for good reason. 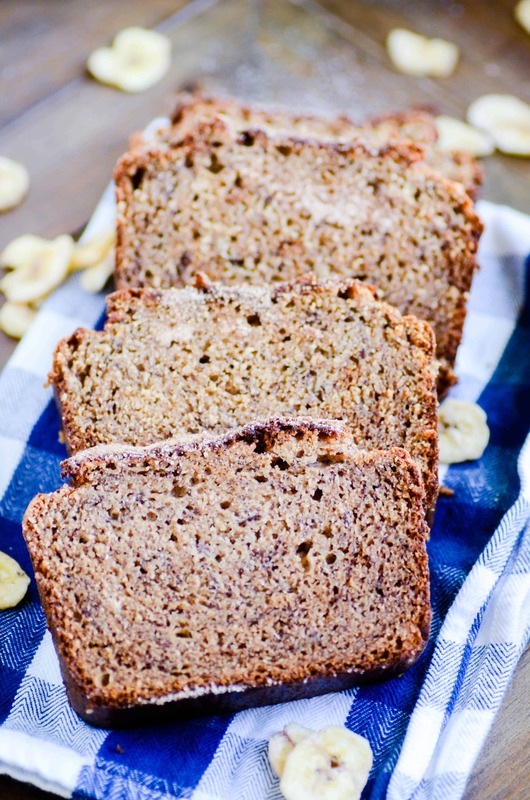 The whole wheat flour gives this bread a hearty texture and flavor, but it stays super moist thanks to a generous helping of brown sugar and bananas. 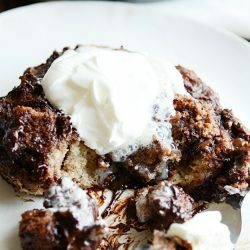 I was really intrigued when I saw that this banana bread was the 2018 Recipe of the Year over on King Arthur Flour’s website. Not that I don’t love banana bread. But it’s just so…. been there, done that. Know what I mean? As it turns out, I was wrong. Somehow, some way, this recipe felt like a completely new banana bread experience. I think the proportions of brown sugar and whole wheat flour and different than anything I’ve tried before. It’s dark, hearty, and incredibly moist, and I have completely fallen in love with it! If you’re thinking you’ve already tried the best banana bread out there, think again! 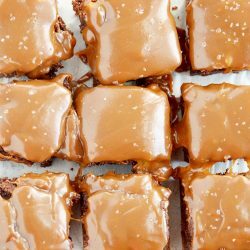 I think it’s really important to use all brown sugar in this recipe. That cup of brown sugar significantly contributes to the rich flavor of this bread, and it also adds to the moistness. Don’t pack the flour in the measuring cup. Scoop it and level it off with a knife instead. Normally, I’m not a baker who heeds this rule. But it does makes a difference in this recipe! As always when making banana bread, be sure to use heavily spotted bananas. 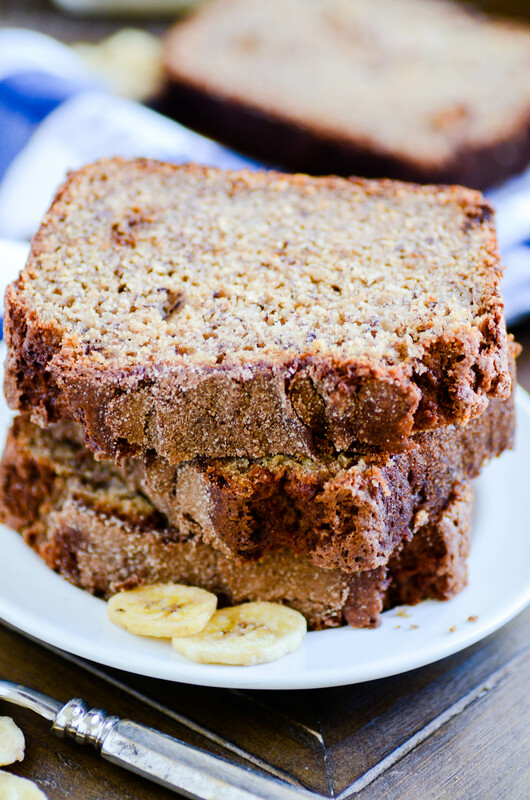 Overripe bananas are sweeter which makes yummier banana bread! 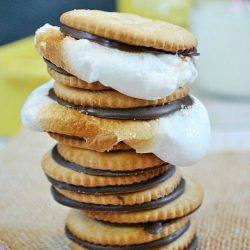 What’s my favorite part of this recipe? I loved that this bread was incredibly moist and baked evenly all the way through. I was also pleasantly surprised by how much I enjoyed the whole wheat flavor. In the bowl of a stand mixer, whisk the bananas at high speed to ensure they are mashed well. Mix in the oil, brown sugar, eggs, and vanilla. Add the flour, whole wheat flour, baking soda, baking powder, salt and cinnamon. Mix until smooth batter forms, scraping down the sides as needed. Lightly grease a 10x5 loaf pan and line with parchment paper. Pour the batter into the prepared pan. Bake for 60-70 minutes, until a toothpick inserted in the center comes out clean.